Almost $2.4 million worth of scams was reported to the Tax Office in 2017, according to new statistics from the Australian Competition and Consumer Commission. In its Targeting scams 2017 report, the ACCC reported that the ATO received 81,250 scam reports with $2,396,178 of reported losses, down from the 155,035 reported last year. Of those, 58,054 of those reports were for threat-based impersonation scams for which $2.3 million was reported lost. Combined with the $4.7 million reported to Scamwatch, threat-based impersonation scams totalled $7 million in 2017. ACCC deputy chair Delia Rickard said that victims are losing an average of $6,500, with some cases involving people losing more than $1 million. “Some scams are becoming very sophisticated and hard to spot. Scammers use modern technology like social media to contact and deceive their victims,” Ms Rickard said. Last year, the ATO reported instances of scammers requesting payment via iTunes cards, a trend that peaked in 2016. The ACCC noted this trend continued in 2017 with 55 per cent of victims paying in this manner. 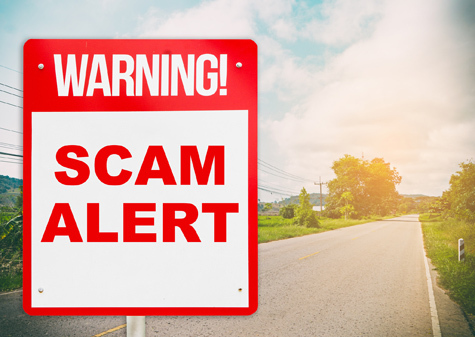 Earlier this year, the ATO highlighted scammers impersonating the Tax Office and contacting Australians attempting to gather personal information or threaten them with fines or jail time for tax evasion. Most recently, it identified fraudsters demanding bitcoin or other cryptocurrencies as a form of payment for fake tax debts.